A new breed of screen villain takes over in LET US PREY, about a malignant loner's chilling effect on everyone he encounters during a night in jail. The supernatural horror film will be available on VOD and Digital Download from Dark Sky Films on May 26, 2015 - it will also be available on Blu-ray/DVD day & date. Rachel (Pollyanna McIntosh, The Woman, Filth), a rookie cop, is about to begin her first night shift in a neglected police station in a backwater town. Surrounded by both disgruntled officers and irate petty offenders, her job becomes all the more difficult and terrifying when a mysterious man (Liam Cunningham, Game of Thrones' Davos Seaworth) is brought in and strange things start happening to everyone in the station. As it becomes clear that the enigmatic stranger, known simply as Six, has something to do with the supernatural, terrifying events, Rachel finds herself in a fight for her life against cop and criminal alike as one by one they turn on each other. Now she must survive the night and uncover the stranger's true plans for the station's hapless denizens before she too falls prey to the unholy power that seeks to destroy them all. Also starring in the film are Hanna Stanbridge (Outcast) and Bryan Larkin (TV'sOutlander). 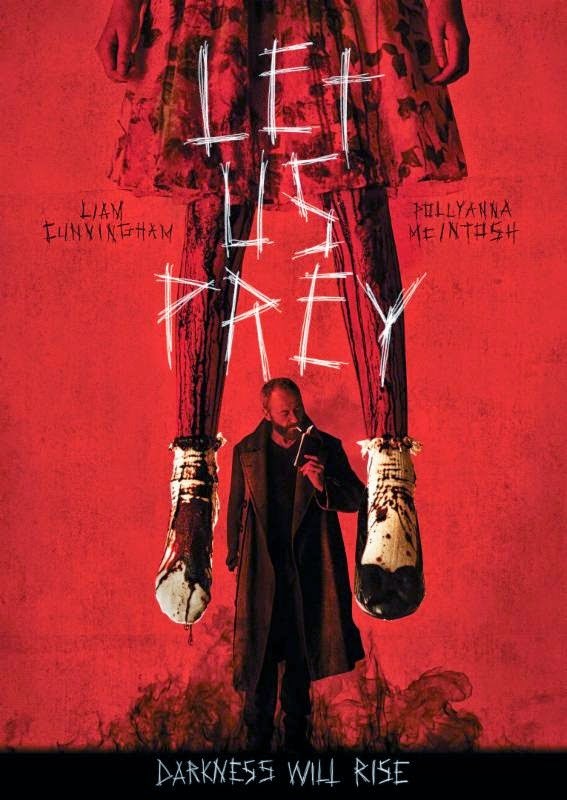 LET US PREY marks the auspicious directorial debut of Brian O'Malley. Sight & Sound listed the film as one of the best horror films of 2014. Sarah Boslaugh of Playback called it "an effective and surprisingly philosophical horror film." The List's Henry Rothmore said it is "an intriguing horror flick. ... Cunningham is suitably sinister and shadowy, spouting Bible quotes as he manipulates the others." The film was an Official Selection and audience favorite at both the Fantastic Fest in Austin, Texas, and Montreal's Fantasia Fest. It won the Silver Méliès Award at the Brussels International Festival of Fantasy Film and the Audience Award at the Toronto After Dark Film Festival.